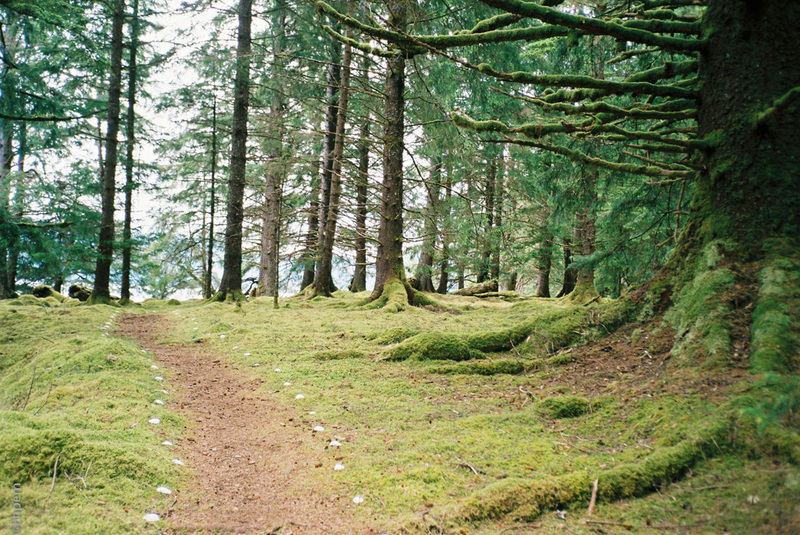 A clam-shell lined trail at T’aanu in Gwaii Haanas (map link). T’aanu Llnagaay is a Haida village that is now managed by Haida Watchmen who guide visitors through the village. The clam-shells indicate where visitors are allowed to walk to control impacts to the cultural features. They are also excellent trail markers in low light. Visited while travelling on the Passing Cloud. And there’s something else about them that’s hard to put into words, but it just seems to right to use a natural object that suits the purpose perfectly, and wasn’t man made. I totally agree. They seem to fit perfectly. Though it was a bit disconcerting to see a couple of bags of large clam shells at one of these villages, apparently imported from a cannery to the north. I had never considered where they got the shells, perhaps because 25 years ago they were a mix of species, obviously beach combed. In this area there are very few good clam beds, mostly it is a bedrock foreshore, with California mussel predominating. That is what you find in the archaeological sites as well – not so much clam.